I am often asked what I do to make my Vintage Rotary Phones shine the way they do. It’s really not magic—just some good ole elbow grease and lots of Novus polish. Novus is sold in three grades, simply called Novus 1, Novus 2 and Novus 3. I use Novus on both plastic and Bakelite. Once I have cleaned the plastic in warm soapy water I allow the plastic to dry. Then multiple coats of Novus 2 will not only polish the plastic but will also remove light scratches. Novus 2 is the work-horse of the three. If I could only have one of the three, I would buy Novus 2. It just does such a great job as is evidenced by this red model 500 I restored a few months ago. Novus 3 is more gritty and designed for heavy scratches. Novus 1 comes in a pump bottle and is used as a final polish once the desired shine has been obtained with Novus 3 and Novus 2. Personally I rarely use Novus 1. My 8oz bottle of Novus 3 has lasted more than three years and I have polished many many telephones with the product. I buy Novus 2 in half gallon bottles but it does last quite a while. If your use of the product will only be to clean and polish one telephone the smaller bottle will be sufficient. Unfortunately I have not been able to locate Novus polish in retail outlets. There may be someplace out there that has it but I’ve been unable to get my hands on any. I’ve tried guitar shops, hardware stores, major warehouse centers like Home Depot, Lowes, etc.? I have even heard that some Harley-Davidson motorcycle shops sell it. But I’ve had no luck there either. However it is readily available on eBay. The prices vary slightly. I hope to be able to offer the product here in the near future. Take a moment to visit the company web site. 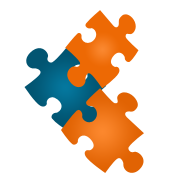 There is information there which highlights other uses for the product as well as satisfied customer testimonials. Note: I endorse this product because I use it and I like it very much. I am not paid by Novus polish or anyone else to recommend this product. does this Novus 2 bring back the original color from sun damage? I have a old powder blue rotary and it looks sorta aqua now. is this a cure for this? Good question, Jim. It is one that is often asked. No, Novus or any polish will not repair damage to the plastic from ultra violet light. There has been a few topics written about a process that will bleach the plastic to it’s original color. But practical use of that process is showing that some colors restore very well but others become worse. And it depends which type of plastic is being treated. The earlier Tenite plastic, or so-called “soft plastic” sets seem to cloud up from the bleaching method. The experiment has been called The Retrobright Project. Collectors have used wet-sanding of the plastic in order to sand away the discoloration which rests on the top layer of the plastic. 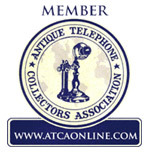 You can read more about collectors and their methods on my Telephone Forum. You might also take a close look at my Picasa web album for a Mahogany Model 500 elsewhere on this site. Just click on the small photo with the “57” banner which is seen at the bottom of that posting. Thank you for your question Jim! What power tool or tools and pads do you use or find the best to use with the Novus polish to restore a phone’s finish? Thank you for your question, John. I first do hand polishing using Novus 2. I apply the polish to the plastic and rub it in with a cotton cloth. I avoid using synthetic cloths. A cotton athletic sock stretched over my hand/arm works really great. After at least one coat of polish I use a Ryobi hand-held buffer. The pad surface is 6 inches. The buffer runs about $25 and can be purchased at Home Depot and probably other locations. I prefer a terry cloth cover which I have found available at WalMart. You will see those that have tie-strings to hold the pad to the buffing wheel. Those do not work well at all and constantly fly off the wheel. The terry cloth covers with elastic are the kind that work best. I work the polish into the surface with the Ryobi buffer and then buff away excess polish once it has dried.